Food: Rich, satisfying and very economically priced rustic local food. They also have a small antipasti buffet and fresh seafood dishes. Service: Owner Dino Satirani and his family are very warm and welcoming, and you’ll feel like you’re dining at a friend’s home. 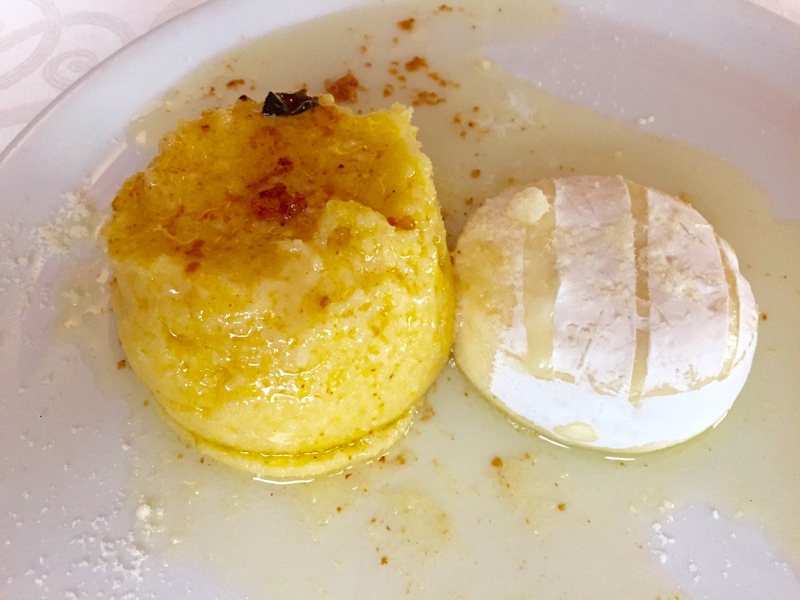 Must try: The polenta dishes. 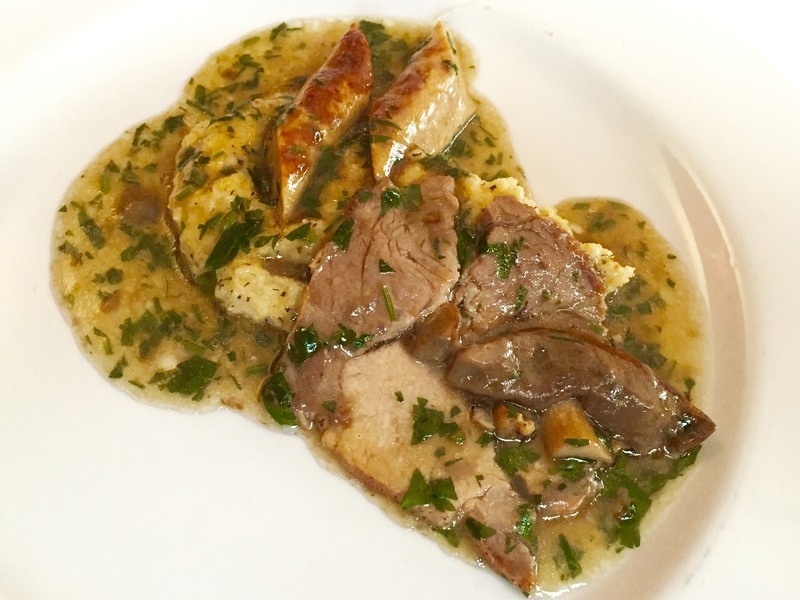 Taragno – polenta cooked with butter, cheese and forest mushrooms, served with home made chicken sausage and roasted Tuscan pork, and polenta with local tomino cheese. Ambience: Very humble, neighbourhood joint that looks like it is still pleasantly stuck in the 80s. You won’t find a single tourist here. Average price per person: You can have a good meal for under 20 Euro. 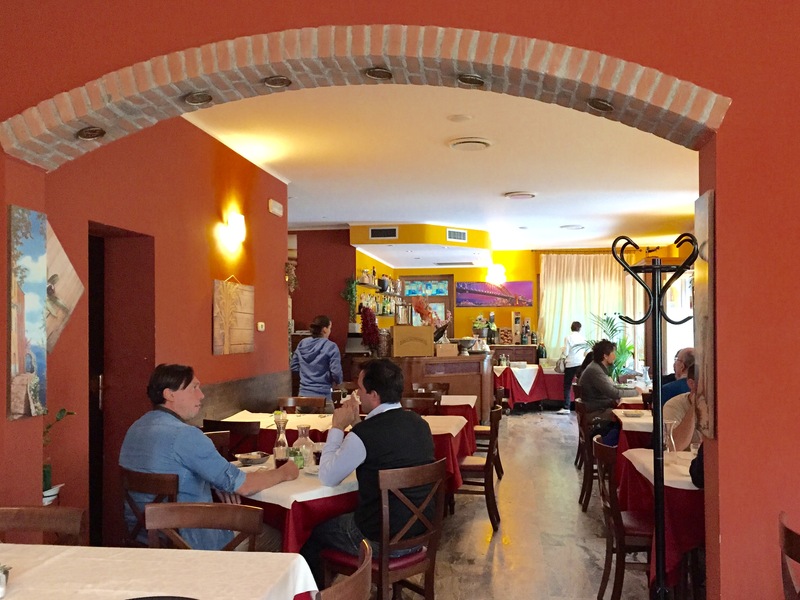 This entry was posted in Bergamo, Eat, Europe, Italy, polenta, Tratoria Baioni 45. Bookmark the permalink.